In India, the cinemas produced in Hindi language is said to be originated in Mumbai – the capital city of Maharashtra. It is referred to as the Hindi Film Industry and its popularity has reached to entire world in the name of “Bollywood”. This is the largest film production centre in the world producing around 300 films every year. Bollywood has originated with Dadasaheb Phalke’s first silent feature film – Raja Harishchandra (1913). He was considered to be the father of Indian Cinema including Bollywood as well. After the India’s independence in 1947, Bollywood was transformed with production of the timeless Hindi films ever made which includes Pyaasa, Kagaz ke Phool, Awaara, Shree 420, Mother India, Mughal-e-Azam and many more. Modern Cinemas also have enriched the rich heritage of this film industry with romantic and action films like Deewar, Bombay, Salaam Bombay, Krrish and Dhoom series, Kuch Kuch Hota Hai, Kal Ho Na Ho, Mohenjo Daro and many more on the list. Bollywood was ruled by prominent actors and actresses like Dilip Kumar, Dev Anand, Raj Kapoor, Nargis, Madhubala, Meena Kumari, Amitabh Bacchan, Dharmendra, Jeetendra, Rajesh Khanna, Sharmila Tagore, Hema Malini, Shahrukh Khan, Aamir Khan, Akshay Kumar, Hrithik Roshan, Kajol, Deepika Padukone and many acclaimed movie stars. 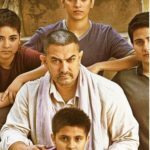 The saga of Bollywood is well portrayed and showcased by an Indian movie website – www.onlinefilmiduniya.com which is a popular online destination for the movie lovers of Hindi Cinema. 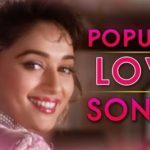 If you are a Hindi movie buff then this website provides you with all kinds of information and news from Bollywood world. You can catch the latest movie reviews and new released songs from this website. 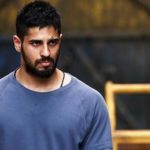 Moreover, you will be also able to know the latest happenings of film star’s life and also regarding news about their forthcoming films. This is the ultimate website to provide you the most relevant movie news and Bollywood gossip.